Bfree - Complete your Order! INTRODUCING: A baby bottle 30 years in the making. Check out the samples and features below. Free Shipping on all orders! Complete my Purchase Free Shipping on all orders! 10% off the most advanced baby bottle on the planet. YES PLEASE! 1 in 5 babies will suffer from colic, and become impossible to console. Perfectly controlled airflow neutralizes vacuum for a happy baby. 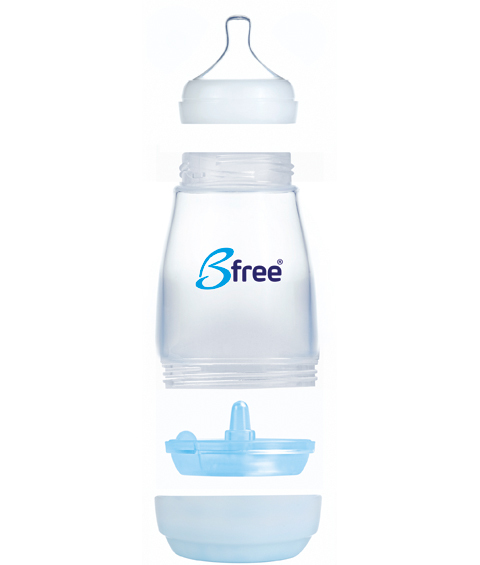 Air pressure in the bottle can create unnecessary pressure for baby during feeding. You can greatly reduce that with the type of bottle you use. It doesn't take a gajillion parts to create a great experience for baby. Our new design reduces pressure, and makes clean up ridiculously efficient.